It is illegal to be under the influence of a controlled substance pursuant to California’s Health and Safety Code 115501. Below our attorneys explain the defense sand penalties of HS 11550. What Is Being Under The Influence? Under What Conditions Can You Be Tested? For someone to be found guilty of HS 11550 the prosecutor must prove the following elements. What is considered using a controlled substance? One element of the crime of being under the influence of a controlled substance is “use.” Under this code section, your use must be current or immediately before your arrest, though this is a legal phrase that is open to interpretation and dependent on the facts and circumstances of your case4. If you are caught in possession of a controlled substance or prescription drug that is not your own, then you may be arrested for possession and use if there is probable cause to test you for being under the influence. Peace or law enforcement officers are trained to some degree to detect certain drug use in individuals. You need only be exhibiting some sign of drug use to be subject to arrest. This is a lesser standard than for being under the influence of a drug or alcohol in driving a motor vehicle. For instance, you can drink alcohol (a drug) and legally drive a motor vehicle so long as you are not impaired or have a blood alcohol concentration level of under 0.08% under Vehicle Code 23152(b). Under H & S 11550, however, you need not appear or act impaired, at least to a certain degree, to be convicted under this code section. You also face DUI as well as a violation of HS 11550 if you used a narcotic that impaired your ability to drive. Use of or being under the influence of a drug includes use of a prescription drug that can also subject you to prosecution under this law if you obtained it illegally or were impaired or under the influence while driving. 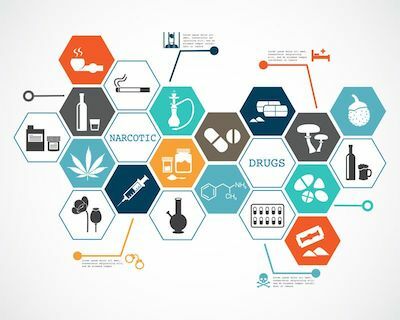 Controlled substances are listed by statute in the state’s Health and Safety Code 11054-11058. There are classes of drugs based on their risk to health and lack of any medical or medicinal value or use and its potential for abuse and dependence. Although marijuana is classified as a controlled substance, its use and possession come under separate state laws. These may conflict with federal law, especially since federal law preempts state laws and no federal legislation currently exists that legalizes marijuana for any use. The current federal administration takes a cautious but hands-off approach to states like California that have legalized the drug for medical use and recreational purposes. A second conviction carries similar penalties but a third one within 7 years coupled with a refusal to participate in or noncompliance with a drug treatment program will result in a mandatory minimum jail sentence of 180 days6. If you are in possession of a firearm while using or being under the influence of a controlled substance, then you can be charged under HS 115507. In this case, your offense is a “wobbler,” or one in which the DA can charge you with either a misdemeanor or a felony. It is a straight felony if you are found to be addicted to a controlled substance while in possession of a firearm, whether you have a valid permit or not. If a felony, you face 2 to 4 years in either county jail or state prison. Any felony conviction results in a lifetime ban from owning or possessing a firearm8. Possession of a controlled substance or being under the influence is a non-violent offense. Accordingly, you are given an alternative to incarceration and to a criminal conviction under California Proposition 36 and Penal Code 1000 that offers deferred judgment or diversion. Under PC 1000, you will have to enter a plea of guilty but the judge will defer further proceedings for up to 3 years while you complete an approved drug treatment. During the course of your treatment, you will be monitored and a progress report submitted to the court. If you are successful in completing the treatment and commit no further offenses and pass all drug tests, the court will dismiss the charges. Proposition 36 is also a deferred judgment alternative available for those with violent or otherwise serious felony. You still, however, must not have committed any of the conditions outlined above. You still plead guilty to the underlying charge and the court will defer further proceedings except that you are under formal probation and any conditions imposed. Even if you satisfy all conditions, the court may still decide to not dismiss the charges though you will likely not spend any time in jail or prison. Another program is participation a California drug court. Your eligibility is similar to that for diversion and deferred entry of judgment. The counties where the drug courts operate have more flexibility and have their own programs in which you are required to participate. This may include counseling, attendance in school, actively looking for and maintaining employment, meeting with your probation officer on a regular basis and submitting to random drug testing. Upon completion, your charges are dismissed. To be convicted under this code section, you will typically have to be tested by a blood or urine test. The officer who asks you to be tested must have probable cause to believe you are under the influence such as by exhibiting certain behavior. This might include acting irrationally or erratically, be passed out or experiencing hallucinations. Absent a drug test, symptoms that mimic drug use are just as likely to be attributable to fatigue, dehydration or conditions of some other illness or condition unrelated to any drug use. 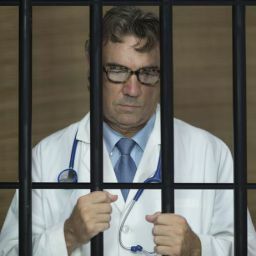 Having a valid prescription is a defense so long as it is in your name and you did not take a dose that exceeds the prescription9. Of course, if you forged the prescription or possess multiple prescriptions of the same drug, you have committed a separate offense. 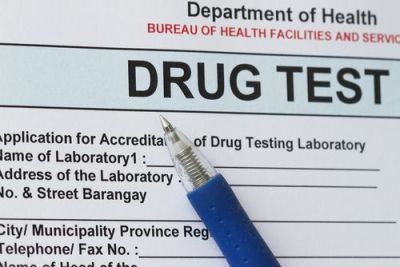 There are certain conditions under which you may be requested, or even forced, to submit to drug testing. For instance, if you are involved in a fatal car accident, a police officer will ask you to submit to drug testing so long as there is probable cause to believe you were under the influence. Police can no longer force you to submit to a blood test unless you are suspected of committing a felony and the police obtain a warrant unless there are exigent circumstances where there is no time to obtain one. If, however, you are a minor or under probation where a provision states that a law enforcement officer may request that you undergo drug testing and you refuse, you may be subject to a probation violation and possible incarceration or detention if a minor. You can seek post-conviction relief in most instances if you were convicted under Health and Safety Code 11550. 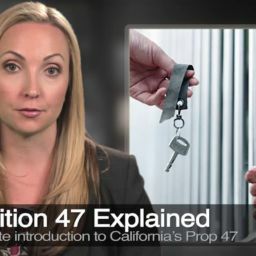 California law allows expungement of a conviction so long you did not serve time in state prison, which will cause you to be ineligible for expungement relief. An expungement allows you certain benefits, including having your conviction shielded from public viewing or access should anyone from the general public conduct a criminal background of you. Since state prison time disqualifies you, it is vital that your criminal defense attorney work to have you sentenced to county jail if you are convicted of a wobbler offense if the court feels that incarceration in your case warrants it, such as being under the influence of a controlled substance while in possession of a firearm. 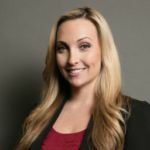 Last updated on March 1, 2019 by Diana Aizman, Esq.